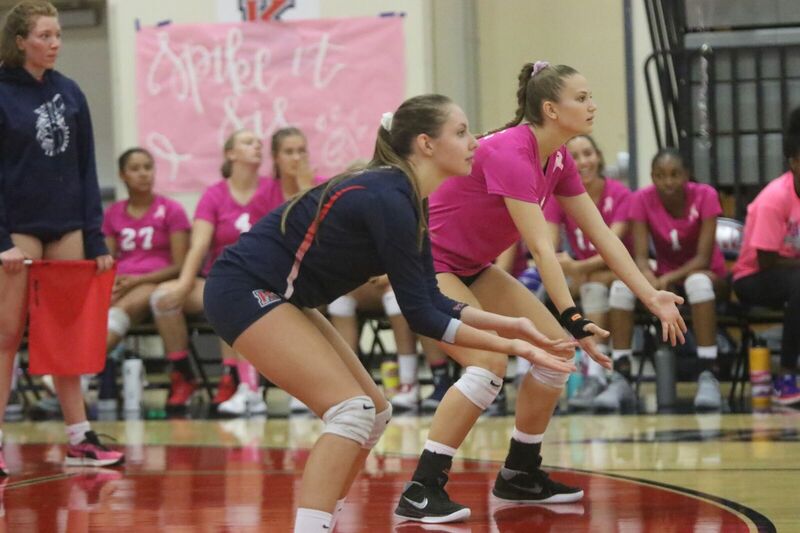 The Lady Wolves Varsity Volleyball team (14-14) hosted the Cougars of Norco High School in Big VIII league play on “DIG PINK” night Tuesday. It was a great night to celebrate those who are courageously fighting cancer and remember those who have lost their fight. The Lady Wolves won in four sets 25-9, 25-22 22-25, 25-15. The Lady Wolves dominated the net with both a physical block and a potent offense. Senior Captain Samantha Bickett had 18 kills on 31 attempts for a .484 hitting percentage. The Senior Captain Taylor Orshoff also had 15 kills, 4 aces and 9 digs to complement her counterpart. Middle Blockers Kaili Vandenberg had 7 kills and Kourtney Stark had 4 kills to balance out the offense. 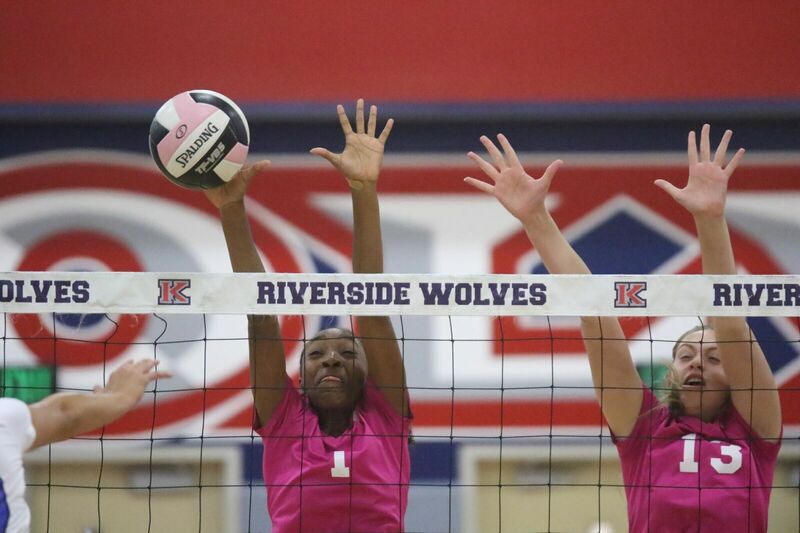 The Lady Wolves served aggressively as usual but were a bit off at the service line with 15 errors on the night. Senior Libero Taylor Edwards led the team with 15 digs. The Lady Wolves thrived on the crowd’s energy in the first set and played in dominating fashion. 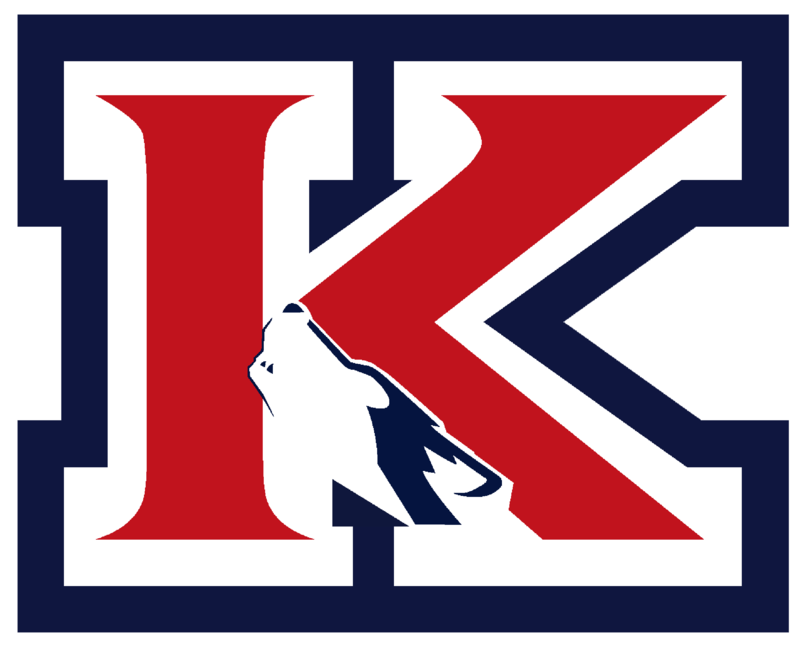 Norco fought back in the second set but King’s team defense with 23 digs was just too strong. 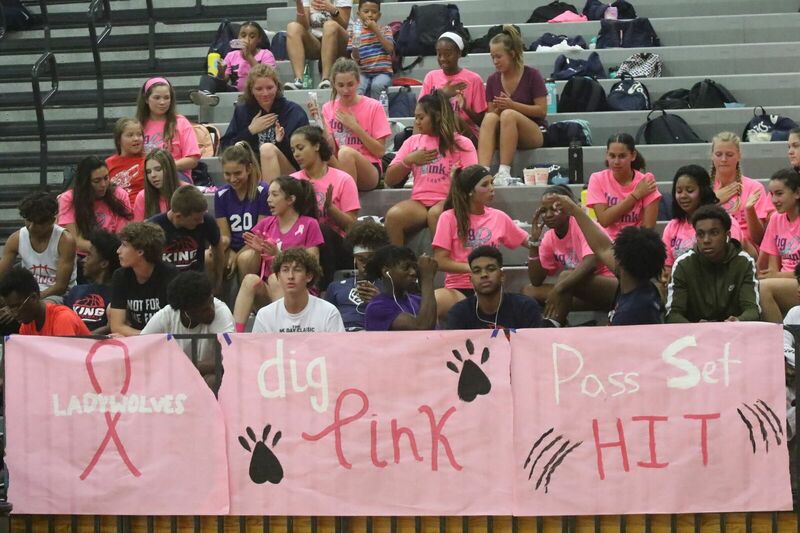 In the 3rd set the Wolves offense produced 17 kills and 3 aces from the service line. Some untimely service errors and missed defensive opportunities cost the Lady Wolves the 3rd set. In the 4th set King took an early lead and never looked back to earn the victory 3 sets to 1. The Lady Wolves JV team remain undefeated on the season as they beat Norco 2 sets to 1. 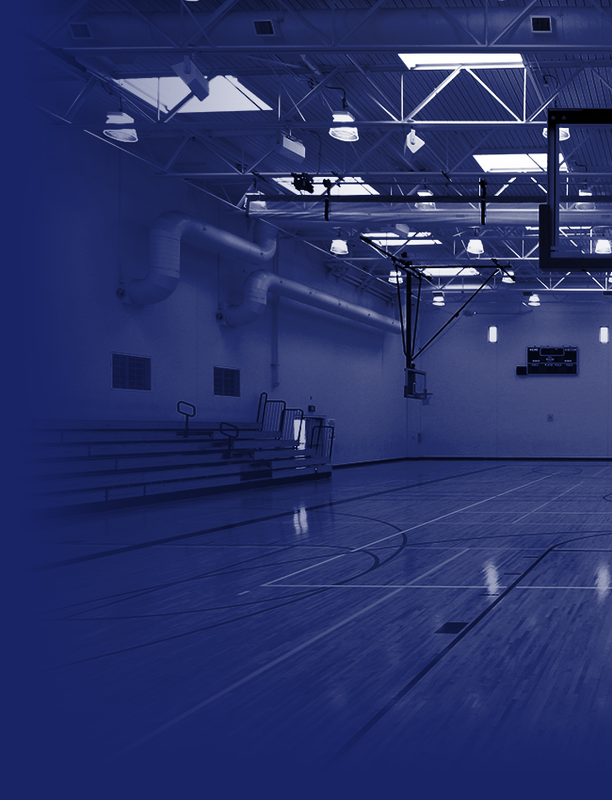 The lady Wolves Freshmen Team remains undefeated in league play as the won 2 sets to none. The Lady Wolves next home match is Senior night vs. Centennial October 4th.